Is artificial intelligence and accelerating technologies going to improve our lives, or doom the human race? This special dinner will excite and inspire you with fine food, wine, a world class Q & A featuring leading innovators, scientists and futurists and entertainment including sensational songsters Pot-Pourri and the With One Voice choirs. The Q&A will feature Scott Anthony (Singapore), Dr Daniel Kraft (USA), Martin Ford (USA), Patrycja Slawuta (USA), Dr Alan Finkel (Australia), Professor Michelle Simmons (Australia) and other disruptive guests. The Gala Dinner Q&A will be moderated by Alan Kohler. A number of the Ci2016 speakers will attend the event as VIP guests and host partner and corporate tables. Bookings are now open for individual tickets and corporate tables. OR contact (03) 9645 9858 to book individual tickets and tables. This dinner will support Creativity Australia’s With One Voice program. Donations received will go towards supporting the participation of disadvantaged people in the life-changing With One Voice social inclusion programs. 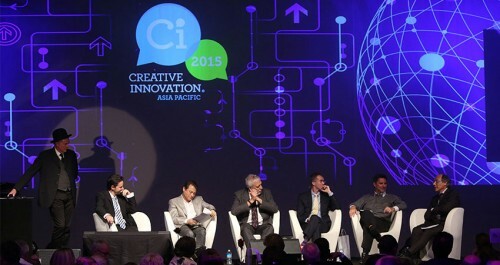 Creativity Australia supports isolated people. Loneliness is the global epidemic of our times and leads to mental and physical health issues and economic disadvantage. More than 2 in 5 people feel socially isolated and unheard. Creativity Australia’s inspirational programs support people dealing with depression, disabilities, unemployment, homelessness, domestic violence, ageing and migrant status to feel a sense of belonging and connect to their community. Dramatically widen the gulf between the haves and have-nots.